Just across Boston’s Mystic River on the other side of the Tobin Bridge, residents of Chelsea, Massachusetts say a 25-year-old man was hit by a car around 10 p.m. last weekend, and then saw that car allegedly speed away as the man was left bleeding on the pavement, according to a recent news feature from CBS Local Boston. One witness said he saw the man lying next to the car that allegedly hit him and immediately called 911. However, at this point, the driver of the car was seen leaving the scene of the accident as the man lay there dying. Another witness said the victim flipped into the air when he was hit by the car and came crashing down to the street. There was an off-duty Chelsea Police officer who had his radio on and immediately rushed to the scene of what turned out to be a deadly hit-and-run accident in Chelsea. When he and other first responders arrived on the scene, they attempted to provide immediate medical attention to the victim, so he could be transported to a level-one trauma center. Once EMTs did all they could for him at the scene of the accident, they rushed him to Massachusetts General Hospital (MGH) in downtown Boston. When he arrived the the Boston trauma center, doctors did everything they could to save his life, but unfortunately his injuries proved too severe, and they soon had no choice but to pronounce him dead. At this point, the police continued their search for the alleged hit-and-run driver and were able to get footage of the car from a surveillance camera in the area. Police believe the alleged hit-and-driver was driving a Toyota Camry that sustained substantial damage in the accident. One thing police tend to do in an accident investigation is to contact all local body shops and tell them to be on the lookout for this vehicle. 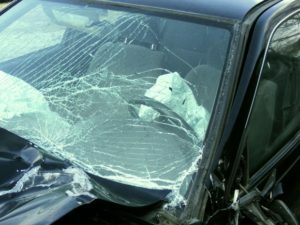 In many cases, hit-and-run drivers will actually take their car immediately to a body shop in the area thinking it is best to get it off the road and get the damage fixed. This has resulted in many arrests, and, in some cases, the defendant is even sitting there with his or her car waiting for an estimate when the police arrive. In a hit-and-run accident, there is always the possibility that police will never find out who the driver was. This does not mean that you absolutely do not have a valid car accident case in Boston. If you or someone in your household owns a car, and that car has an insurance policy, you may be able to use what is known as uninsured motorist coverage (UM) to recover from your losses in a hit-and-run accident. Since the driver cannot be found, he or she is treated as a driver without insurance. Most people in Massachusetts have UM coverage, even if they have never heard of it before. The reason for this is because, unless you explicitly disclaim UM coverage, the company is required it to provide it to you in the amount of your liability coverage.